Basically, Varkala is a small town popping out of cliff on the Arabian Sea. It is very tourist friendly and also features a few local cafés, grocery stores and ayurvedic pharmacies. It is a rather recent touristic spot and has been developping over the past 20 years. It took over Kovalam which was the hippie spot at the time. The main activity is to do nothing. Doing nothing includes walking on the beach, taking yoga classes, receiving well-being or health ayurvedic massages. The most active people are having fresh fruit juices and read or write books (that’s only for the bravest). Locals enjoy coming for the weekend to relax with their family or get drunk with their friends. No matter what happens, everyone gathers on the beach for sunset, the boldest ones try to swim but most Indians stay fully dressed standing or playing ball games on the sand. Kerala is one of the few states in India that has the habit to play football instead of cricket. We see more football games than cricket matches. Time goes slow in stressless Varkala and we met amazing people and had meaningful and deep conversations with them. 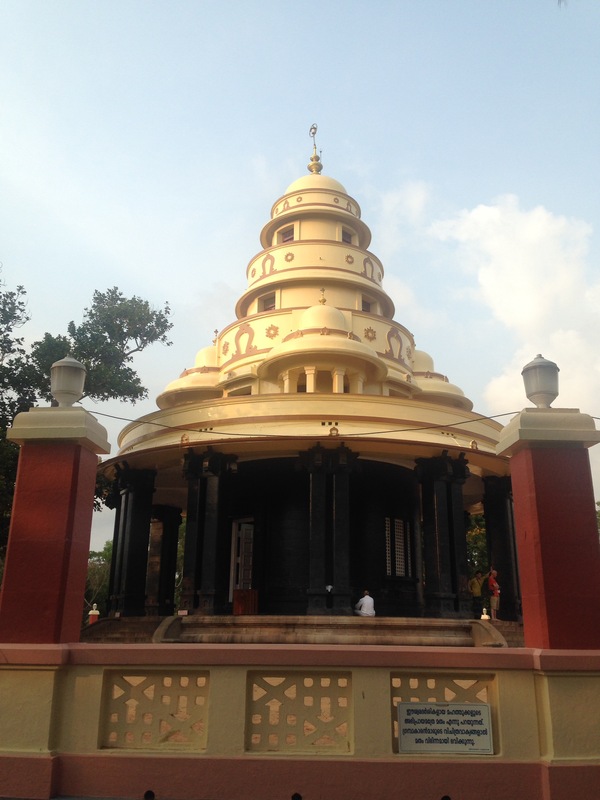 We visited a temple – the Janardanaswamy temple (dare repeat the name three times) – that can be visited and showcases a beautiful kailash tree weirdly ornated with plastic dolls, hindu god statues and flowers. We were lucky to arrive when they were distributing prasad, food offered to visitors. We had plain rice and lemon achat. The Backpacker’s face was so funny trying the very spicy sauce that a few Indian mums came and took care of us by pouring a whole jar of coconut cream in our plate to calm down our spirits! They were so generous and funny, we had a really nice human experience there. We also visited the Sivagiri ashram which hosts not only a yoga and meditation center but also Sri Narayana Guru’s tomb. He was a local social reformer and contributed to the excellent education and awareness level of Keralites. This visit allowed us to understand better the local views on education as well as social qnd religious organization. 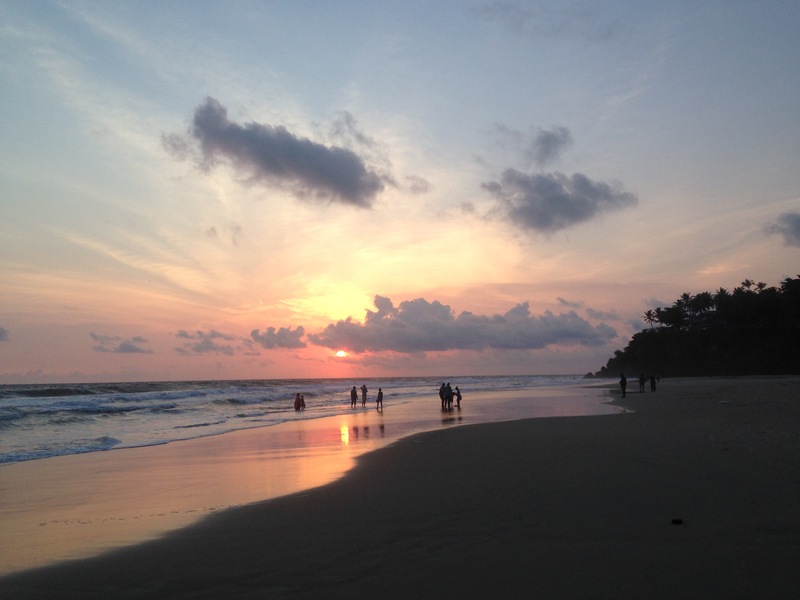 Varkala has everything for you to have relaxing yet culturally insightful holidays, don’t hesitate including it in your travel itinerary, you won’t regret it !